Members can renew for 2019 here. The Scalefour Society caters for the needs of railway modellers working to the scale of 4mm/ft (1:76.2), the most popular of the British model railway scales. 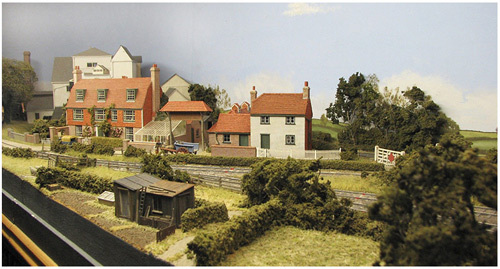 It promotes and encourages the use of effective modelling techniques and fine scale standards among all 4mm railway modellers with a particular emphasis on the use of scale wheels and track. This web site contains a great deal of information for all modellers and is a showcase for the Society. It also contains our Forum, where you can read about many aspects of finescale modelling. Society Members have the benefits of exclusive access to further resources within the site. Membership gives you the Scalefour Digests; a full library of back copies of Scalefour News that can be downloaded; additional technical reference material and much more. In addition to the members-only stores, we make available a range of general interest items and publications from our online e-shop. The e-shop is open to anyone, member or non-member alike. © The Scalefour Society. Privacy Statement. Site map.